Includes one set without vowels so kiddies can change the sounds within these made up words. Plus spare cards to write your own words…. 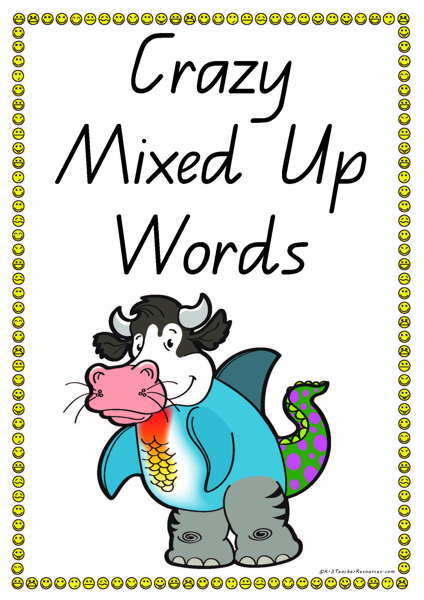 Kiddies love these ‘silly’ words – they are great fun to play around with and make up crazy words – make up words with the sounds you have been learning. Discover stories and books that use made up words – eg The BFG (many Roald Dahl books use this), The Book with No Pictures, Dr Seuss books (please list any more in comments below). Make a small version of each word and cut them up – join different parts of words together to make even more crazy words.